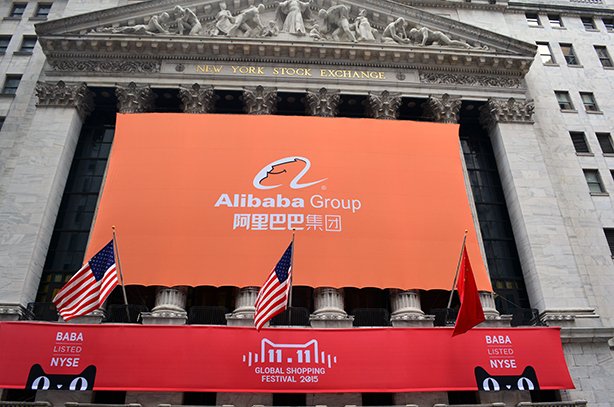 Decoding Alibaba Group is no easy feat. Helmed by charismatic executive chairman and cofounder Jack Ma (pictured below), it is often hailed as the Amazon of China. That kind of shorthand works as a reference point, but fails to capture its complexity and scope. Then there are the skeptics, who distrust Chinese businesses and their relationship with the communist government. Combine those factors with a fraught geopolitical environment, and you start to understand the culture gap Jennifer Kuperman is trying to bridge as head of international corporate affairs. Despite assuming the top communications position in 2016, the fundamental challenge remains the same two years on: How do you educate investors, media, and analysts on products and services they’ll never use, when their primary point of interaction is effectively an earnings report? Boiled down, Alibaba is a Chinese tech company with e-commerce origins, whose holdings continue to expand into verticals to support that core business. Those holdings include finance, entertainment, media, cloud services, logistics, and even brick-and-mortar locations. 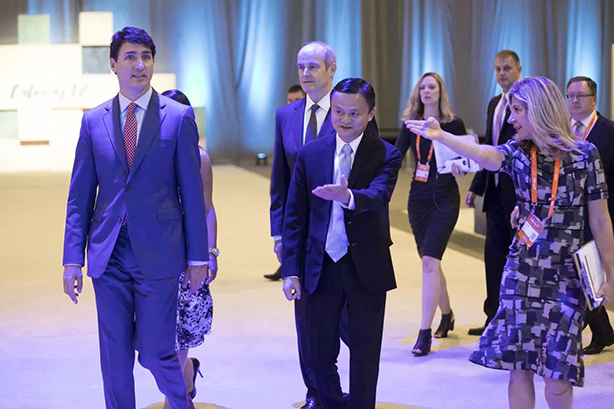 But as U.S.-China tensions worsen, and one of the world’s superpowers declines, Alibaba has become something of an ambassador on behalf of the usurper, and Ma its chief envoy. "If you look back at Ma and the things he’s stood for, it’s about trade and breaking down barriers for the good of business growth, entrepreneurs, cultures, and world peace," Kuperman says. "This geopolitical environment fits in what he has stood for. You can look at this as a platform from which to educate." When China implemented an open door policy in 1978, Ma was a teenager of humble means growing up in Hangzhou, the capital of the country’s Zhejiang province. Following the government’s bid to generate foreign trade and investment, the charms of Hangzhou and its West Lake kickstarted a tourism industry, prompting Ma to offer foreigners tours in exchange for English lessons. Some 36 years later, in August 2014, Kuperman flew to Hangzhou and met Ma, a noted martial arts enthusiast, at the very same tai chi pavilion on West Lake he showed to tourists. It was her first day on the job. "That started a weeklong intense indoctrination into the company and business," Kuperman notes. Less than a month later, Alibaba would go public in what would become the largest IPO ever. The rest is history. Alibaba catapulted into the upper echelons of tech firms, with a market value of more than $500 billion. It made a play for cloud computing and big data businesses, expanded into rural markets, and launched into new regions worldwide, most prominently with its acquisition of Singapore-based Lazada. But Alibaba has a formidable Chinese competitor in Tencent, a tech company with strengths in social media and gaming. Tencent owns a minority stake in jd.com, an e-commerce site. Rather than acting as a platform such as Alibaba, jd.com owns, sells, and distributes inventory, providing a more unified experience. However, Alibaba has far greater product availability, according to Bloomberg analyst Vey-Sern Ling. "Anything that comes to mind you can find there," he says. Alibaba also works with Teneo. Previously, it worked with Brunswick Group, but fired the agency a few months after the IPO, according to a former Brunswick senior partner. After Kuperman replaced Jim Wilkinson in 2016, the departing comms chief went on to form his own agency, TrailRunner International, with Alibaba as its anchor client. "She reflects the comms leader of the future," Wilkinson explains. "Someone who’s a business leader, understands finance, knows comms and marketing, but more importantly can make an impact on the P&L." Wilkinson notes there was no question about Kuperman succeeding him, adding she’s close to Ma, vice chairman Joe Tsai, and Chinese leadership. He says she played a central role in the IPO and other initiatives, such as Singles Day. While comms "professionalized" how to tell Alibaba’s story in the U.S., Kuperman notes the corporate affairs team imported the intuitive and improvisational style of Ma, who once said Alibaba’s success hinged on having "no money, no tech, and no plan." "The way things happen in China is more innovative, fast-moving, organic, and provocative than the way we do things here," she explains. "We don’t work in templates. We have very little process." Bilingual speakers make up 70% of the comms headcount in the U.S. Overall staff has also increased, but a former Alibaba exec and a former exec that still services the company through his own agency say the team still runs lean and mean. Four times a week, Kuperman is briefed on the news that happened overnight and whatever else the company may need to address. "Unlike most companies that have their business and executives here, we have to care even more about what traditional media writes about us," she says. That education helps to add targeted influencers, such as experts in China, e-commerce, retail, globalization, and corporate structure, to Alibaba’s "megaphone," Kuperman notes. She reports to Tsai and works closely with Michael Evans, president of Alibaba. "Few business leaders I’ve worked with have Kuperman’s combination of strategic vision, team building, and flawless execution," Evans says. "She has been key to our success and global expansion and is a trusted adviser to me and the rest of senior management." In 2017, Kuperman suggested PR should begin turning to owned channels. "Be truth seekers and tellers on your own terms," she said. "Don’t rely on others to tell your story. Tell it yourself." Over the course of the prior year, Alibaba doubled down on its corporate site, alizila.com, and increased editorial output. As of May, sessions on Alizila have more than tripled to 2.5 million, a spokesperson says. Page views increased 230% to 3.3 million. The site is populated by case studies, Q&As with Alibaba execs, and insights into the Chinese market, created by former journalists to describe the company’s strategies. A critical brace supporting Alibaba’s future growth is its New Retail initiative, an omnichannel approach to retail that infuses tech with Hema, a supermarket chain. With 80% of retail in China done offline and a consumer population on mobile, Kuperman says this dynamic, paired with a backbone of data Tsai called China’s FICO score, was ripe for New Retail. But showing it to the world requires something practical. So Alizila launched a video that generated 4.7 million organic views on Facebook. While jd.com is making a similar play, Bloomberg’s Ling stresses this isn’t a winner-takes-all scenario. Nor should inventory cost turn off investors. "The absolute gross profit will be much bigger because they’re hitting a larger market," he explains. "For an internet company such as Alibaba, its top line is rising very quickly at 60% growth." In another display of its influence, Alibaba acquired the South China Morning Post for $266 million, saying it wanted to improve coverage of China through Hong Kong’s English newspaper of record. Alibaba maintains it won’t infringe on the Post’s editorial independence. However, Tsai maintains a close connection to the paper and offers feedback on coverage and new products, according to The New York Times. Alibaba is stuck in the middle of geopolitics, trade wars, and ego between the U.S. and China. To satisfy the governments, it has made extravagant promises. In the U.S., it’s vowed to create 1 million jobs on the back of increased exports. To China, it has pledged to lift the standard of living across the country, including its long-suffering rural areas, in keeping with President Xi Jinping’s Chinese Dream. "It’s a lot more heated and there’s a big, bright light on it," Kuperman notes. "But balancing U.S. and China has been the thing we’ve been trying to do since the beginning." Despite Alibaba’s competition with Amazon in overseas markets such as India, Kuperman says it doesn’t want to be seen as an adversary in the U.S. True to its namesake, open sesame, Alibaba wants to carve out a niche as the go-to platform that will unlock the potential of the Chinese market. "If you’re looking to enter the Chinese market, Alibaba is your first stop," Ling explains, adding other distributors have far less reach. For example, sneaker store Stadium Goods launched an exclusive partnership with Tmall, an Alibaba e-commerce platform. Within one day, sales exceeded $1 million, a spokesperson told PRWeek. Stadium’s success was trumpeted by Alizila, which noted the company later raised $4.6 million in funding. "We were working hard to help people understand what we were doing in the U.S. and why we were a force for good here and not a threat," Kuperman notes. "You have this big Chinese company coming, we get NYSE-listed — people are a bit fearful of that. Our eureka moment was explaining ourselves through the Gateway campaign, [as] a gateway to China." The moment Kuperman refers to is Gateway 2017, a two-city tour that started in Detroit. There, the company hosted 3,000 entrepreneurs and farmers, demystifying China and "what is perceived to be an impenetrable market," she says. That was followed up by another event in Toronto a few months later. Gateway 2018 is scheduled for the fall, though it remains unclear as of press time where it will be held. But President Donald Trump’s threats of a trade war continue. His saber rattling prompted Ma to pen an op-ed for The Wall Street Journal to argue he would hurt American small businesses and farmers by losing the opportunity to sell goods to China’s emerging middle class. Trump’s appetite for deal-making has borne some fruit for Ma. The two met at Trump Tower after the inauguration. Since then, senior Trump officials have entertained Ma in private dinners and meetings. The government appointed the attorney that advised on Alibaba’s 2014 IPO as the leader of the Securities and Exchange Commission. Public records show Alibaba increased government relations spend by 53.7% year over year to $830,000 in Q1 2018. It’s a small sum compared to companies of similar size. "The government relations team is a great partner to me and my team, especially in an environment such as this," Kuperman notes. Questions about Alibaba’s bona fides are raised on a regular basis. At the start of the year, Taobao, one of its platforms, was labeled a "notorious market" by the U.S. Trade Representative’s office for selling counterfeit items. Last year, the documentary The China Hustle insinuated Alibaba is a perpetrator of financial fraud. Still, Kuperman says the company views itself as an agent for social and economic change. "It goes to show we have a long road ahead of us in terms of making sure people better understand China and Alibaba, that we’re transparent, great communicators, and providing education so people can understand why we’re a force for good," she explains. Hassle is a daily part of Kuperman’s life. Oftentimes, she is expected to jet across the world with Tsai and Ma to marquee events, such as the World Economic Forum and the Milken Institute’s global conference. On top of that, she’s a mother of two. Ma, one of her most interesting bosses, has been described by the media with a range of superlatives from "crazy" and "intuitive" to "blarney and chutzpah." "Ma is a unique being," Kuperman says. "He’s not just your average superstar. He’s a great communicator and our best asset." 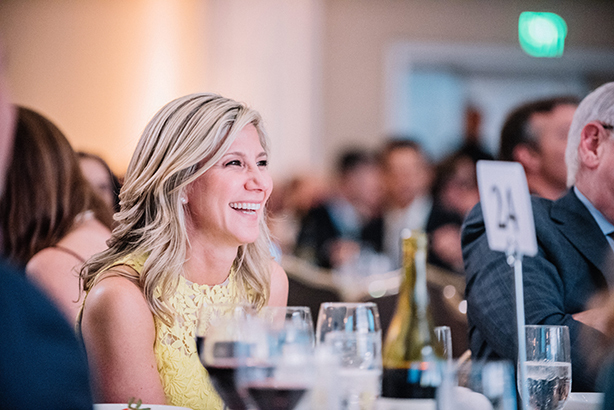 When Kuperman isn’t plunging from conference to conference or working at the office, she volunteers at CoachArt, where she serves as a board member. The nonprofit provides free lessons in the arts and athletics to children with chronic illnesses and their siblings. 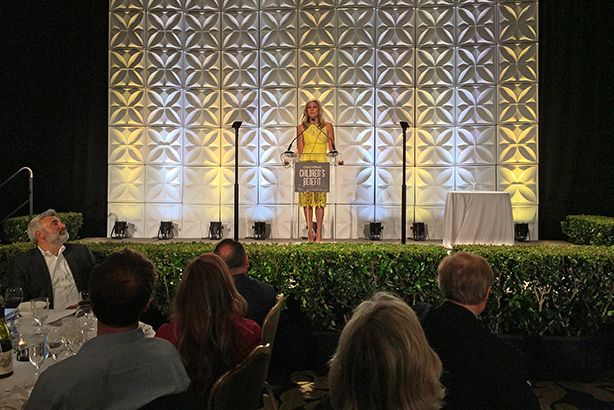 On May 24, Kuperman was honored by CoachArt at its annual Children’s Benefit gala at the Fairmont Hotel in San Francisco.